Colorado experiencing #ZooterProblems – Expanding your culture, one touch at a time. Z0oters are stealing milemarker signs “420” on every highway in Colorado. 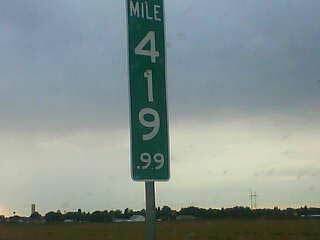 Their solution was not to find these zooters, not to watch the signs more carefully, but to just replace the signs with mile “419.99.” First, zooters win the battle of pot legalization, then they win the battle over 420 signs, next, its gonna be legal to smoke bong in movie theatres. Cant wait for that day.